Access to tax expertise . . .
Planning for and minimising tax liabilities. In recent years there has been a plethora of new tax legislation. This has placed a heavy burden on the profession in order to understand, interpret and advise Clients in the correct manner. At WNJ, our tax team comprises dedicated tax professionals with qualifications of the highest calibre. They include members of the Chartered Institute of Tax, The Institute of Chartered Accountants in England & Wales and members of the Association of Chartered Certified Accountants. Our professional expertise makes us one of the most trusted and respected accountancy firms in Lancashire. We are able to cope with the heavy demands that the ever changing legislative platform has to offer. There is a great deal of difference between proactive and reactive advice. Remuneration planning and profit extraction. Succession planning on business exits. Company sales and management buy-outs. Inheritance tax and will planning. Separation and divorce or “business divorce”. Part of the process of making sure that your tax affairs are correct is ensuring that your returns are submitted on time and correctly. Preparing your personal and corporate tax returns. Reminding and aiding you in making payment on time. Reviewing and advising on HMRC correspondence. Dealing with HMRC enquiries, investigations. Many of our Clients are faced with the same types of problems – how to structure their affairs in a tax efficient yet cost effective manner. 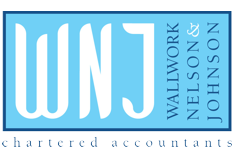 WNJ have a great deal of experience in ensuring that business owners are tax efficient. Whether the individual is a sole trader, a member of a partnership or incorporated we can ensure that his or her affairs are as tax efficient as possible. When ‘exiting’ a business, many owners want to pass the family business on to their children or other family members. It ensure that their legacy lives on. However, passing on the family business is usually easier said than done. It is a complex process that needs to be considered in some detail. How much involvement would I like with the business moving forward? Is the business my sole source of income, if so, if I pass it on can I afford to do so? What are the consequences of passing the business on? Our specialist team will ensure that not only will you pass on your business in a manner that is appropriate for you, but also do it in a tax efficient manner. Many businesses find themselves in need of reconstructing their business activities. Reasons might include divesting the company of a trade which has a higher risk profile than the directors would like or the departure or conflicting interests of some of the company’s shareholders. Whatever the reason, we will formulate a solution on your behalf and then advise on the tax consequences of what you are trying to achieve. Where necessary we will write to HMRC and seek clearance and liaise with other professional advisors in order to implement the reconstruction. WNJ can help you to understand your options, calculate your liability and plan to reduce your inheritance tax burden. With the rate of inheritance tax set at 40% this can be a huge proportion of an individual’s estate. Careful consideration is needed on how this liability can be reduced. We have an in-depth knowledge of Trusts, that are fundamental issues to understand, when mitigating your inheritance tax burden. Our experience shows that the gift of shares to an employee is not only costly in terms of tax, for both the employer and the employee but usually ineffective from motivational and retention purposes. Our Government has introduced a range of tax efficient ways in which to pass shares to employees in a tax efficient manner for both the individual and the company. WNJ can help minimise your company-employee risks on two fronts. The share incentive enhances growth within the company for the business owners but the transaction can also be structured in a manner that ensures a corporation tax deduction for its growth. Research & Development tax relief claims are rising but new figures show that manufacturing companies are falling behind other sectors when it comes to applying for the valuable business support scheme. Many don’t realise all or part of their trading activities qualify. HMRC defines a qualifying R & D project as one that “seeks to achieve an advance in overall knowledge or capability in a field of science or technology through the resolution of scientific or technological uncertainty” – and not simply an “advance in its (a company’s) own state of knowledge or capability”. Our specialist team within our Corporate Tax Department will ensure that you do not miss out on this potentially lucrative tax relief. It can often result in substantial Corporation Tax refunds by performing an initial review of the company and its trading activities to assess R&D qualification. WNJ will liaise with HMRC before, during and after the claim process to ensure compliance and success. Dealing with HMRC enquiries can be very time consuming and stressful. The implications can have a dramatic impact upon the individual or the company being investigated. Our service will give you an insight into the latest tax laws and any technical points where you need clarification. WNJ has years of experience of dealing with enquiries raised by Tax Inspectors as well as having the expertise to fight your corner. We can assist you or your business to deal with certain technical aspects of any enquiry. Alternatively, we can deal with HMRC on your behalf and negotiate with them directly – thereby lessening the impact upon your life, business and cash flow. If you are VAT registered then you may need to move to digital record keeping on qualifying accounting software to record your business transactions and submit VAT Returns. Our dedicated Cloud Accounting Department can help with this. Used correctly, cloud based accounting software allows business owners to access up-to-date financial information whenever they want. This invariably helps with both strategic and tax planning. If you are not VAT registered then at the moment, digital record keeping is optional. Only VAT registered businesses will need to keep digital records – and only for VAT purposes. They will only need to do so from April 2019.